The designers behind this wearable Cryptocurrency wallet claim it’s unhackable. Benjamin Hubert's design studio Layer has launched Trove, a digital wallet and app system that allow you to store your cryptocurrency without fear of loss or theft. Layer collaborated with fintech startup Trove to launch the products, which are designed to make it safer and easier to store and manage digital currencies such as bitcoin. The system keeps cryptocurrency offline, making it less susceptible to hackers, and also incorporates smart security systems, making it much harder to lose if you forget your password. The designers call it unhackable and unloseable. Trove consists of four parts: Coin, Keep, Safe, and the Trove app. 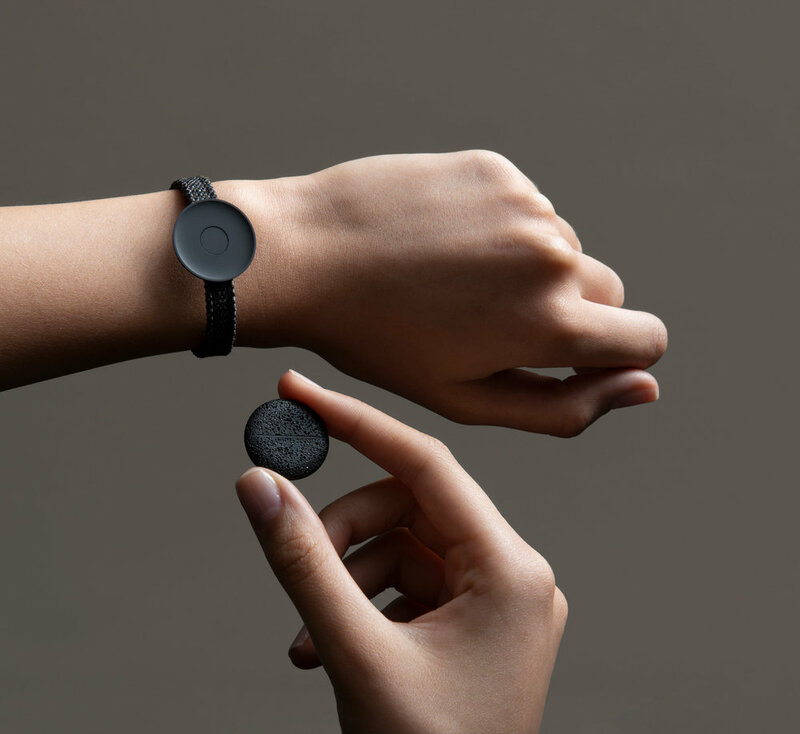 Coin is a small wearable device that allows users to store currency for everyday spending, like a wallet or purse. Measuring just two centimetres wide, it can be easily carried around in a pocket or worn on the body like jewellery. Currently in the prototype stage, the device comes with an inbuilt electrocardiogram (ECG) sensor that means it can only be opened biometrically. This means users need to press their skin against the contact zone on the front of the device for a few seconds to unlock it. Just like fingerprint or iris detection, the ECG sensor recognises the user's unique heartbeat pattern, and uses it as a mode of verification. This activates a bluetooth connection with the Trove app, providing access to the data and funds contained within. This feature makes the product markedly different from cryptocurrency wallets that use static encryption keys – complex passwords or pin numbers – to provide access. "Researchers speculate that 35 per cent of all bitcoins have been lost due to irrecoverable passwords," said Layer. "As the security of bitcoin is based on complex private keys that allow the transfer of funds, once the private key is lost, it is extremely improbable that lost coins can be recovered." "This system is much simpler than existing systems that require complex password recovery systems or the need to print multiple pages of unique cryptographic hashes," it added. 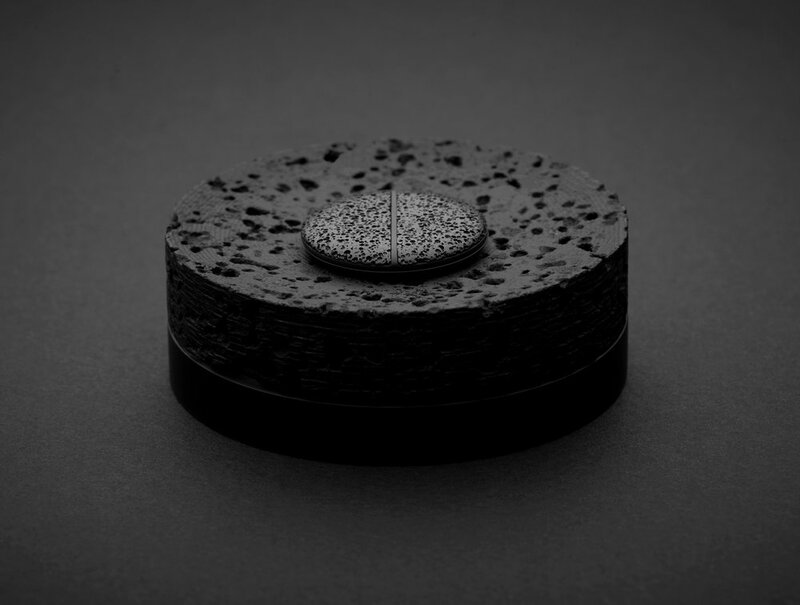 Coin comes in two materials, black aerated aluminium and silver anodised aluminium, and can be magnetically attached to three different accessories, a wristband, necklace or brooch, giving plenty of options for personalisation. The wristband comes in a variety of Kvadrat textiles, while the necklace features a variety of fascias, in material including terrazzo, acrylic or ceramic. "The Trove Coin is designed to fit a user's personal style," said Layer. "The user has the option to openly display the Coin as a fashion accessory, or wear it in a more discreet manner." Keep and Safe are both designed to be used alongside Coin. Keep is a container made from volcanic rock and polycarbonate, which is powered by a USB-C port. It is used to inductively charge the Coin. Meanwhile Safe is a "discreet personal home bank", protected by ECG verification, which allows users to safely store cryptocurrency at home. "While Coin stores currency for daily use, Safe holds your decentralised personal wealth at home," said Layer. The Trove app provides the interface for the whole system. Users can keep track of their spending history, monitor how the value of the currency changes over time, and compare the performance of different cryptocurrencies. The app also comes with a tracking function to let users know exactly where their Coin is at all times, as well as an AI financial advisor. Benjamin Hubert rebranded his studio as Layer back in 2015, as part of a shift towards more "human-focused" projects. The team has worked on numerous tech products, including ceramic trays that wirelessly charge electronic devices and wristbands that track carbon footprints. This latest project recognises the growing interest in cryptocurrency and blockchain. Other recent designs in the field include an app that teaches kids to use the tech. Bose is making the tech from their noise-cancelling headphones available to car manufacturers. A new app allows you to virtually ‘try on’ sneakers before you buy.